Dominica, officially the Commonwealth of Dominica, is an island nation in the Lesser Antilles region of the Caribbean Sea, south-southeast of Guadeloupe and northwest of Martinique. We spent a week in Dominica. We took the ferry from Guadeloupe. The sea was a bit rough but no sea sickness. We had booked a rental car, so at arrival in the ferry terminal of Roseau we were greeted by the guy from the car rental. hour’s drive from Roseau. Wow, what a lovely place. 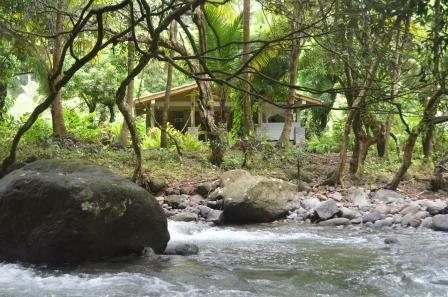 Mango cottage is situated in a nice rain forest area, beside the Tabarie river. You wake up in the morning to the sound of birds and the river. The natural pools of the Tabarie river is the best way to relax during the day. First day we drove to the city to do some shopping and change our money. Then we went to Scott’s Head and Champagne Beach. These places can be done easily in the same day. The best spot for snorkelling in the country. 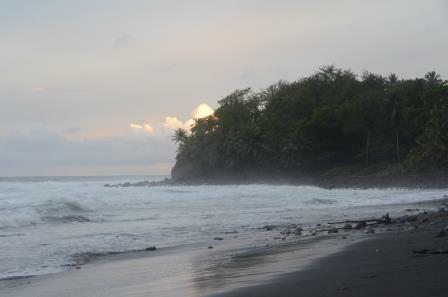 Mero Beach on the West coast is nice, you should have a chocolate mousse in the Romance café on Mero beach. It was just the best. 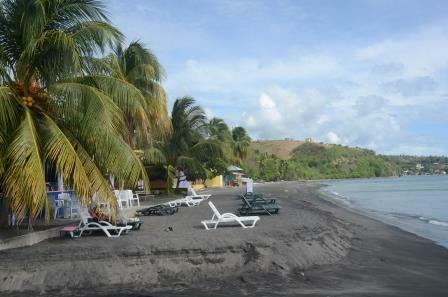 Prettiest beach was Batibou Bay, very nice secluded beach for relaxing. We also went to hot springs. In the Roseau Valley, there are warms springs where you can soak in the streams below Trafalgar Falls. A nature’s spa treatment on a rainy day is the best one could have. 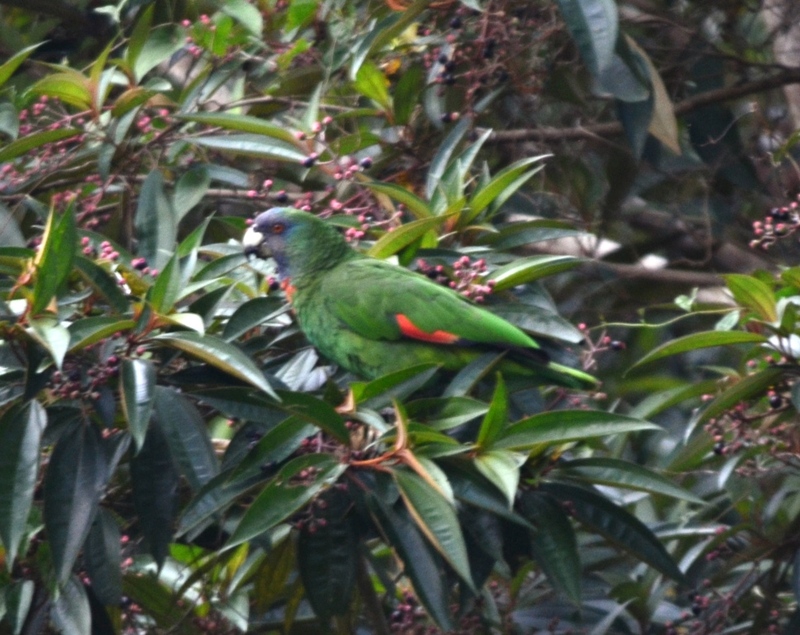 We also went to the Morne Diablotin national park, a short hike in order to see the endemic bird red necked parrot. And we saw plenty of those. 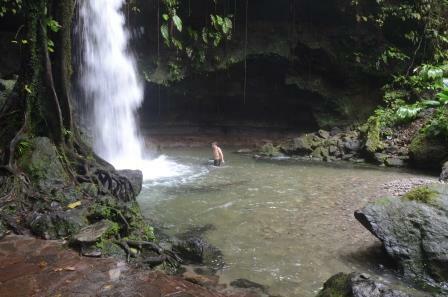 Emarald pool is also another nature’s wonder to be seen in Dominica. 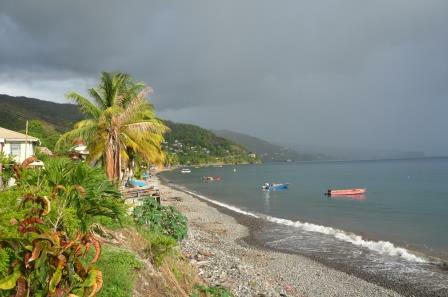 The week spent in Dominica is one of the best holidays we have ever done…..